As you can see, my blog template has changed for about a week now. Alhamdulillah finally. It might be not as beautiful as other's blog but still, I am satisfied as it is now compare to my old template. Well actually, I messed up with all the codes, html, or whatever you called it. Designing blog is actually my weaknesses and I don't have any idea what was I doing back then and messing up with all the codes, and my blog looked messy all over. 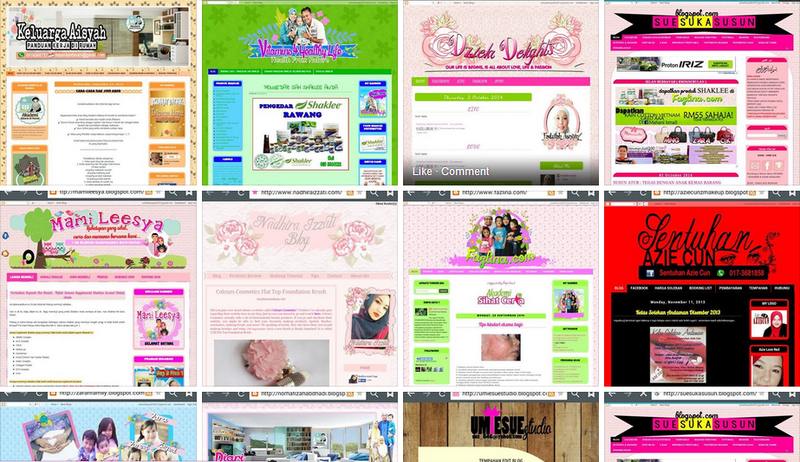 Then I was looking through Google, searching for anyone who provide a service of designing a blog. Now sure whether you're noticed or not but I did posted in my instagram and facebok page about it. Luckily someone dropped a comment and gives a few suggestion, a person that they knew who can help me. And alhamdulillah I contacted Kak Su. As you can see here, I wanted to have a pink vintage kind of concept and theme. So I send a pictures as an example and guideline to Kak Su so it is a lot easier for her to design my blog just by referring the pictures given. So she only took 1 day to re-edit my blog. Yes, 1 day. We agreed everything on that night, and the next day, it is all settled! Oh about the payment, you only have to pay Rm50 for the whole design and she will give a free watermark. So yeah I can say that I am pretty excited and happy to see my current new blog template. I am not quite sure this design is gonna stay for how long because I constantly changing my mind. Today vintage, maybe next month a flower theme, maybe next 5 months a purple theme, who knows I might change to a clown theme? haha! So if you girls currently searching for someone who can help design a new template for your blog, you can try contact Kak Su. Send her an email, text, or like me, I just pm her through Facebook and she will get back to you as soon as possible.